The Government of India has said that privacy is not a fundamental right, amd that it is too vague to qualify it as such. Appearing for the Centre in the Supreme Court, Attorney-General KK Venugopal argued that there can be "no independent right called right to privacy, and that privacy is only a sociological notion, not a legal concept." 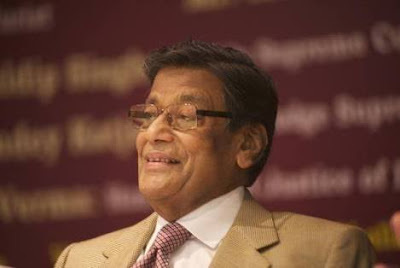 If privacy were declared a fundamental right, Venugopal said, then it can be a qualified right. He asked the nine-judge constitution bench, hearing the tangled issue on whether aadhaar was a violation of the right to privacy, that only some aspects of privacy could be considered fundamental, not all, and it is a limited fundamental right that can be taken away in legitimate state interest. Elucidating, Venugopal sought to argue that in developing countries something as amorphous as privacy couldn't be a fundamental right, that other fundamental rights such as food, clothing, shelter etc. override the right to privacy. Observers wanting aadhaar to be linked with the right considered the argument bizarre. In a development considered important, several non-BJP ruled states decided to join the issue on the side of the petitioners and argued that there does exist a fundamental right to privacy in India. Last week, a galaxy of lawyers argued for privacy as a fundamental right. This included Soli Sorabjee, Anand Grover, Arvind Datar, Meenakshi Arora, S Poovayya. Senior advocate Shyam Divan who argued in the PAN-Aadhaar case that Aadhaar was like an “electronic leash” on the people also appeared for the petitioners. "The government’s contention, riding on the back of the Kharak Singh judgement, which had raised the question on privacy as a fundamental right, did not seem to convince the bench", claimed civil society group Rethink Aadhaar, campaigning for right to privacy as a fundamental right. "There have been 40 judgements since then reiterating the right to privacy", it added. Rethink Aadhaar, in a statement, said, "In fact, the government has itself, in its earlier submissions in the aadhaar matter, not contested privacy as a fundamental right. Finance Minister Arun Jaitley said so on the floor of the House. Further, in the WhatsApp case, the government has this week argued for the right to privacy." 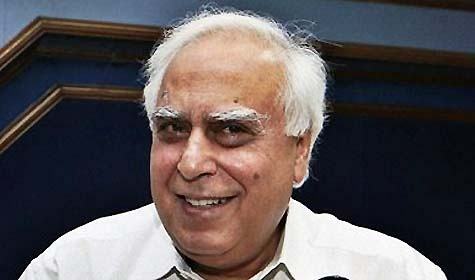 Senior advocate Kapil Sibal, who appeared for the states of Karnataka, West Bengal, Punjab, and the Union Territory of Pondicherry, said that privacy was indeed a fundamental right, but added, it was not absolute, and the court would have to strike a balance between rights and restrictions. Sibal's contention that the contours of privacy would have to considered afresh made Chief Justice of India JS Khehar telling him that the concern at present was only whether privacy was a fundamental right. Responding to Justice J Chelameshwar’s question on the location of a potential fundamental right to privacy, Sibal suggested it was Article 21, but also maintained that it is an inalienable natural right that inheres in all human beings. Counsel for the state of Himachal Pradesh, JS Atri, made a brief submission supporting privacy as a fundamental right and being part of personal liberty flowing from the Preamble to the Indian Constitution. The government is likely to continue its submission. Aadhar is necessary for subsidies and other monetary benefits to reach the correct recipients. However, if the government announces that only those who are eligible for the benefits then many people will go for Aadhar and claim benefits under false pretexts. So the only solution as I see it, repugnant though it is, is to insist on Aadhar for everyone. As a corollary, those who avoid paying their taxes are drawn into the net--which is a good thing in an indirect way. So while I regard Aadhar as an invasion of privacy, it seems to be a necessary evil.